The Alpha Pole System is constructed of high quality hardened galvanized steel. From the main vertical poles to all braces and right down to the hardware, there were no corners cut and no exceptions made. These are sections for expanding a full system. For a custom size field not listed on the site, please call for a quote. Paintball Pole Systems are by far one of the biggest requests we get from our customers. 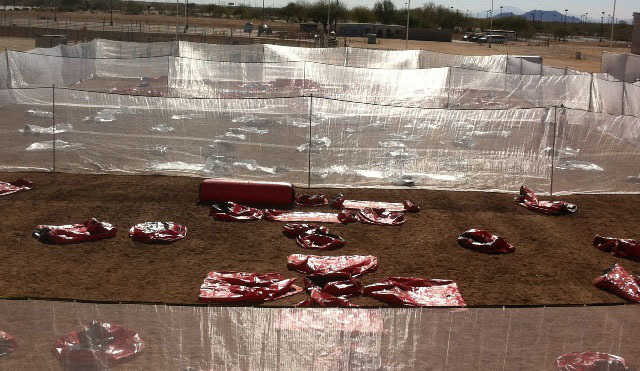 Up until now the paintball industry has had little or nothing to offer in the way of a pole system that would allow fast and easy setup of netting that is cost efficient. With the Alpha Paintball Pole System (patent pending) you will be able to setup a PSP or NPPL style paintball field in as little as 3 hours with 2-3 people. The Alpha Pole System is constructed of high quality hardened galvanized steel. From the main vertical poles to all braces and right down to the hardware, there were no corners cut and no exceptions made. Both our 12 foot and 20 foot systems have been wind load tested to 45mph gusts. These systems are 100% USA made and fabricated to your fields custom specifications. 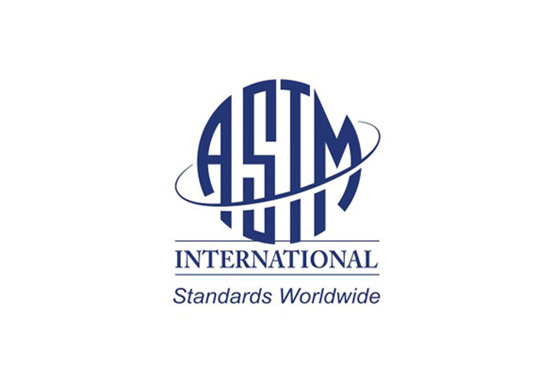 Alpha Sports is the only company to offer a complete paintball pole system that carries full insurance ratings, ASTM ratings, and a 1 year warranty. Try getting that out of wooden posts and poles! What makes the Alpha Pole System Better? This is a 100% proven system used by University or Arkansas, Bard College, Edwards Air Force Base, Langley Air Force Base, The Discovery Channel, The RPL, and many other fields across the US, Canada, and Mexico. We used high level structural engineers holding over 40 years experience to assist in our design and conduct field testing on military grounds. We do all of this to make sure your field is the best you can buy and will go the distance for your business. The Alpha Pole System offers a complete Netting Hoist System allowing you to raise and lower your netting as needed. We do not use pulleys that will wear out and break. 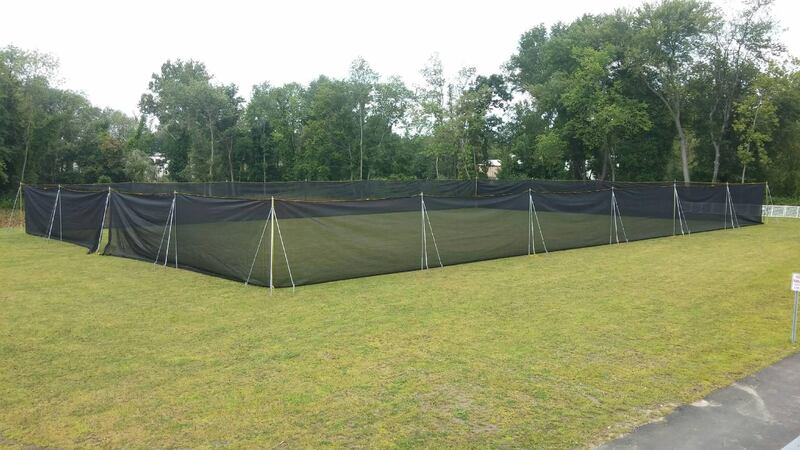 This system saves your netting from damaging high winds and storms. Poles are spaced at 25 feet per insurance recommendations. Example: 12 poles at 25 feet equals 300 feet. No more ladders and trying to attach netting to the cable 12 feet in the air. Our Paintball Pole System uses steel supports to hold the poles in place. This eliminates renting expensive equipment to dig holes and cementing. 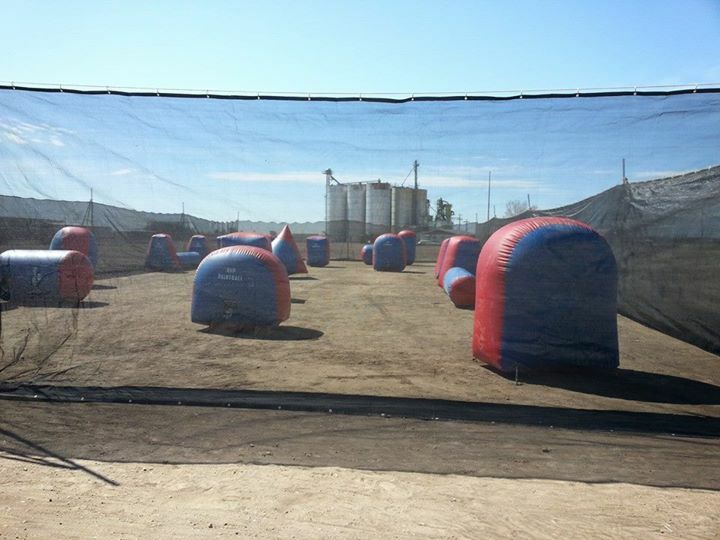 Tested and proven for the sport of paintball, it comes with a complete installation DVD and full color instructions. We even offer tech support as needed. The Alpha Paintball Pole System has been chosen by the military, colleges, and fields across the US ... don't trust inferior systems! Compare these costs. 12 Telephone Poles, Delivery of poles along with rented equipment to dig holes, raise the poles, and lifts to hang the netting. You will still need all the hardware, cement, cable, eye bolts, pulleys, etc. Average cost for this system is between $9,000.00 to $12,000.00. Our Paintball Pole System 12 foot, 12 Pack is less than half the cost with all materials included. Setup time take just 3-4 hours. Take down time in just under 2 hours. Need more than 12 poles, No Problem. We can custom make or expand our systems to any size.